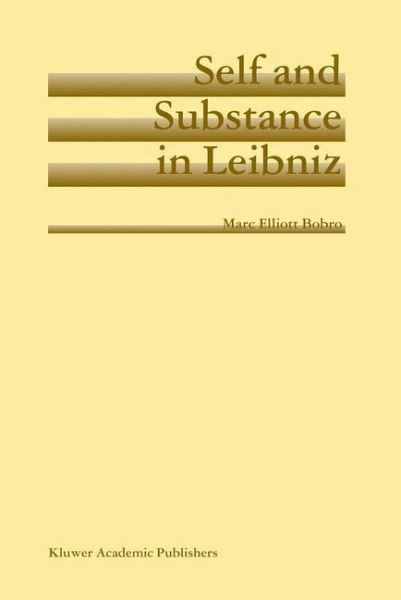 There is a close connection in Gottfried Wilhelm Leibniz's mind between the notions of self and substance. 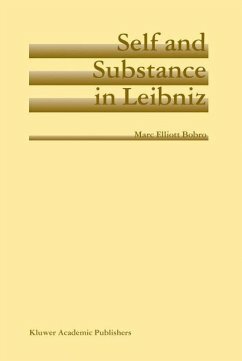 R. W. Meyer, in his classic 1948 text, Leibnitz and the Seventeenth-Century Revolution, writes that "the monad ... is nothing but a 1 représentation (in both senses of the French word) of Leibniz's personality in metaphysical symbols; and there was, under contemporary circumstances, no need 2 to 'introduce' this concept apart from 'propounding' it. " It is not clear what Meyer means here except that from the consideration of his own self, in some way Leibniz comes to his concept of simple substance, or monad. Herbert Carr, in an even earlier work, notes that Leibniz held that "the only real unities in nature are formal, not material. ... [and] [f]or a long time Leibniz was content to call the formal unities or substantial forms he was speaking about, souls. This had the advantage that it referred at once to the fact of experience which supplies the very 3 type of a substantial form, the self or ego. " Finally, Nicholas Rescher, in his usual forthright manner, states that "[i]n all of Leibniz's expositions of his philosophy, 4 the human person is the paradigm of a substance.